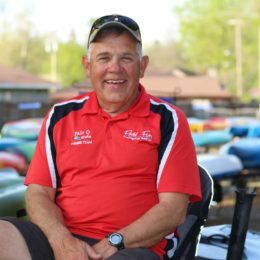 Steve is our go-to guy for lots of things, but most importantly, he is a kayak fishing enthusiast! Stop in our store to see Steve for excellent fishing advice, help with accessories and how to rig your boat, and plenty more! Steve is a Fishing Team member for Jackson Kayak, but don’t worry, he can help get you in the right boat no matter what you’re doing with it! Steve does everything with a passion and you’ll be a happier person just by meeting him.